"Former FBI Head Hand Delivered Uranium To Russians On Airport Tarmac." 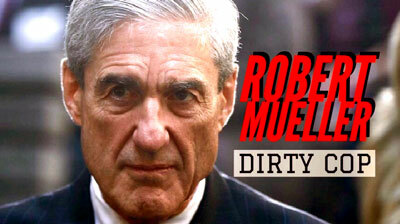 “Every day more information is coming out on the Uranium One deal that leads to more and more questions concerning the corruption in the Justice Department and Obama Administration. The U.S. gave 20% of its uranium to the nation Democrats describe as America’s number one enemy – Russia. 'Over two years ago Russia requested a ten-gram sample of highly enriched uranium (HEU) seized in early 2006 in [the country of] Georgia during a nuclear smuggling sting operation involving one Russian national and several Georgian accomplices. [And] Why did Obama and Clinton agree to provide this uranium delivered by Mueller to Russia in the first place? A sample of the uranium captured during this sting operation was provided to the Russians who analyzed it and determined that it was indeed highly enriched uranium (HEU). In the Atlantic article it states that the Russians at first didn’t respond to requests from Georgia on the uranium and at no time asked for the uranium back. As a matter of fact the Russians worked hard to deny that the uranium came from Russia in the first place. So why did the Obama Administration hand deliver 10 grams of HEU to Russia in 2009 and when did Russia begin asking for another sample of the uranium and why did the memo not mention that the Russians had already obtained a sample of this uranium and determined that it was HEU? Of all people, why would the Head of the FBI be selected to transfer uranium to Russia? It would seem that the U.S. has a number of individuals who could perform this transfer and it would seem that FBI Director Mueller would have enough on his plate in the U.S. When Mueller couldn’t make the transfer in April the transfer was postponed to September so Mueller could be there. This past week information was reported that prior to the Obama administration approving the very controversial deal in 2010 giving Russia 20% of America’s Uranium through the approved sale of Uranium One, the FBI had evidence that Russian nuclear industry officials were involved in bribery, kickbacks, extortion and money laundering in order to benefit Vladimir Putin, says a report by The Hill. From Tuesday’s report we found out that the investigation was supervised by then U.S. Attorney Rod Rosenstein, who is now President Trump’s Deputy Attorney General, and then-Assistant FBI Director Andrew McCabe, who is now the deputy FBI director under Trump. We also know that former FBI Director Robert Mueller was the Head of the FBI at this time and was involved in this deal. Sara Carter of Circa News interviewed Victoria Toensing, a lawyer for an FBI informant who said her client ‘is not only afraid of the Russian people, but he is afraid of the U.S. government because of the threats the Obama administration made against him.’ The individual in question faces criminal charges put in place by Obama’s Justice Department if he talks about the FBI investigation. 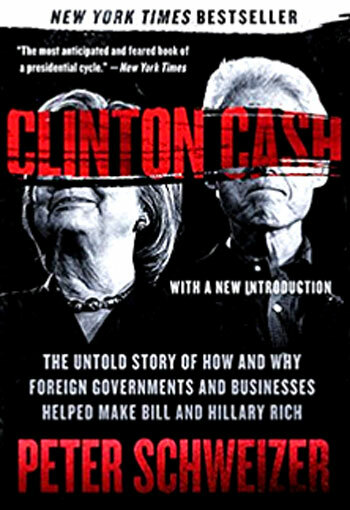 "Hillary Clinton and the Obama administration find themselves at the center of an explosive scandal involving the transfer of 20 percent of all U.S. uranium to Russia via the sale of the Uranium One company, just as nine foreign investors in the deal funneled $145 million to the Clinton Foundation to help grease the wheels.